Orange and tangerine are both citrus fruits but they are not the same. Though they are considered to be belonging to the same species, orange and tangerine differ in many aspects like their shape, smell and taste. Oranges are round citrus fruits much bigger than Tangerine. When talking about the taste, Oranges are sweet and tangerines are less sour or tart than that of oranges. When comparing both the orange and tangerine trees, one can come across slight difference. The orange tree grows to about 30 feet tall with leaves that are evergreen and arranged alternatively with crenulated margins. The tangerine on the other hand grows to a height of about 20 feet and has glossy leaves and aromatic flowers. When talking about the outer covering, orange comes with hard skin when compared to tangerine. The peel of tangerine can be easily removed unlike the orange. Down under the peel of tangerine fruit, the segments can also be easily separated. Most of the tangerine varieties have an abundance of seeds. On acidity, Orange is known to be more acidic having a pH value of 2.4- 3. The acidity of oranges differs according to the size. The tangerine fruit comes less acidic as it is smaller in size. Tangerines are considered to be having its birth in china and Japan. It has been said that citrus fruits have been cultivated in these two countries for over 3,000 years. It was only in the late 19th century that reached Europe. Oranges have its origin in south East Asia. Coming to the name, Orange is known to have derived from Dravidian and Tamil word for the orange tree. The final word orange has been derived at after the Dravidian word for orange has been passed through various intermediate languages. Tangerine is the name that comes from Tangier, Morocco, a port from where the first tangerines were shipped to Europe. The nutritional value per 100 gram, Tangerine contains 13.34 g Carbohydrates, 10.58 g sugar, 0.31 g fat, 0.81 g Protein and so on. And oranges have 11.54 g Carbohydrates, 9.14 g Sugars, 0.21 g Fat and 0.70 Protein. 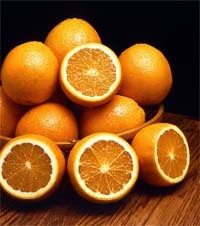 2.Oranges are sweet and tangerines are less sour or tart than that of oranges. 3.The peel of tangerine can be easily removed unlike the orange. Prabhat S. "Difference Between Orange and Tangerine." DifferenceBetween.net. April 12, 2018 < http://www.differencebetween.net/object/difference-between-orange-and-tangerine/ >. when you said “Oranges are sweet and tangerines are less sour or tart than that of oranges,” what does this mean? Do you mean to say that oranges are sweeter or that tangerines are sweeter? it sounds like you’re saying oranges are sweet but tangerines are less sour/tart than oranges..so tangerines are sweeter than oranges..but if you had meant that wouldn’t it be much easier and succinct just to say “oranges are not as sweet as tangerines”, or “oranges are more sour than tangerines”? Is the same as saying that oranges are sweeter and sourer than tangerines. Sweet isn’t the opposite to sour. Yes it is. Sweet/sour or bitter, are opposites. How are you eating your tangerines? Sorry, no. Sour and bitter are not the same thing. You have said – “The peel of tangerine can be easily removed unlike the orange” but I think the peel of Oranges (mainly Indian oranges) is little puffed and very easily removable. Don’t know much about tangerine. Tangerines are sold in name of Orange in India..
Not sure that statement makes sense. I just bought a 2 liter carton of Orange & Tangerine Juice Blend, so I guess I have it covered! This was so helpful as I’m working on losing weight by dropping sugar. I really LOVE oranges but could do with out the acidic part in both. My bones could really do with out it. Great info. Thanks to all the comments! Have a Merry Christmas!